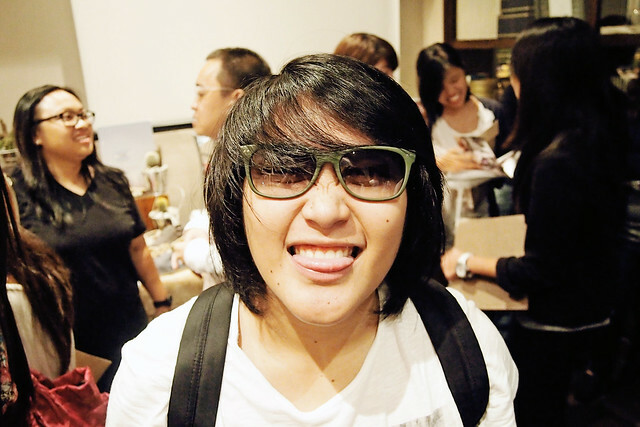 Excited to buy my first pair of TOMS eyewear! 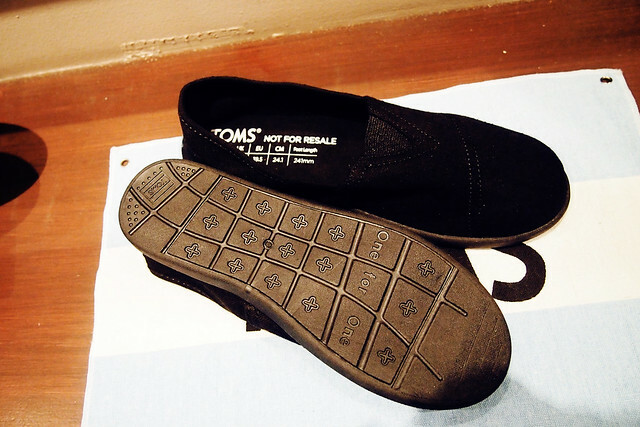 A different sole for the TOMS they hand out to children in need. Since children's feet grow really fast, they give out new pairs every 6 months. How cool is that? 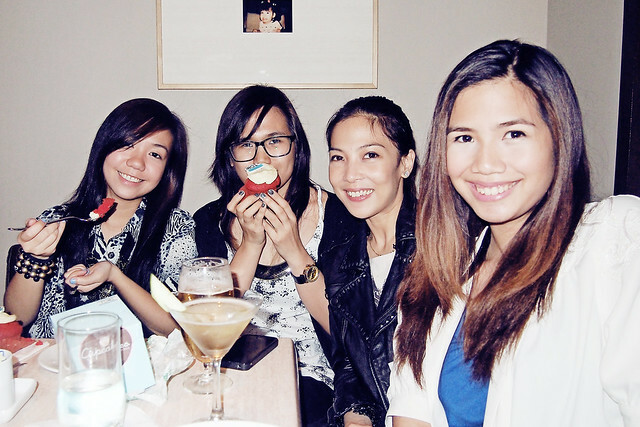 Patty is so lucky that she has Pat now to take photos of her during bloggers events! My sister hates taking my photos. 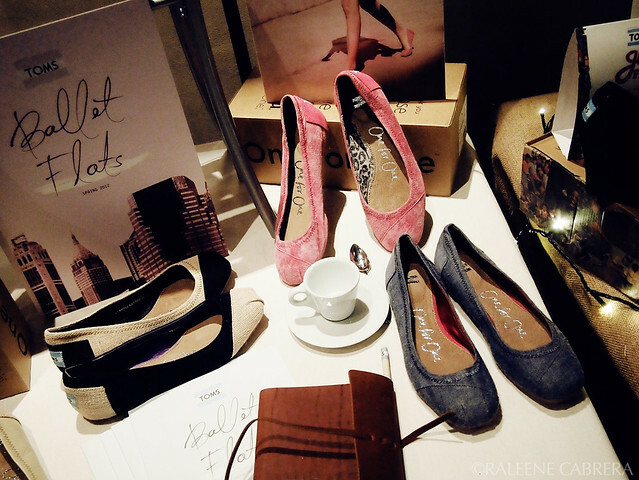 Yes, they now offer ballet flats! 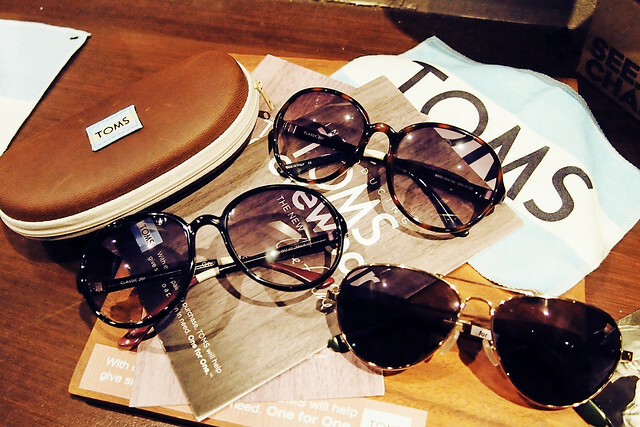 Recently, TOMS has extended their one for one range to eyewear by helping people get their sight back for every pair of sunnies you purchase! I was so excited about this when they sent out their newsletter because I come from a family with bad eyesight, and it pains me to see my grandparents suffer from degenerative eye conditions. I think my sister and I complain so much on Twitter on how sometimes it's just so frustrating to live with really bad vision (my grade is only -3.00 but my sister's is -5.00 and getting worse). I have to deal with getting constant headaches, losing my contacts, breaking my glasses, getting my contacts ripped, etc. and these are just tiny problems compared to people suffering from more serious eye conditions without getting any aid. 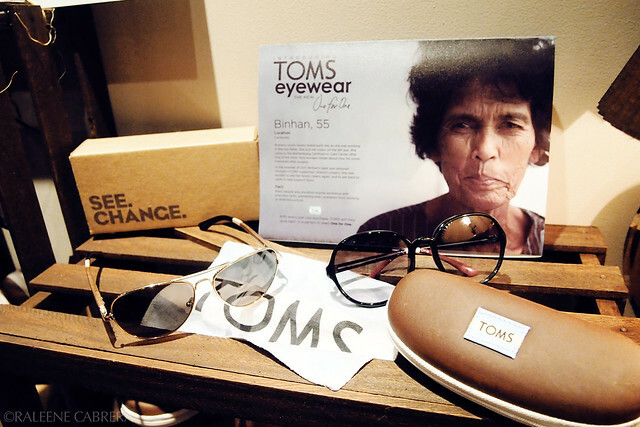 All I'm saying is, it's costly and such a big burden even for people who can afford proper eye care so it is a big deal that TOMS has recognized the need and has focused on helping people in getting back their sight. Watch this and you will definitely want to get their sunglasses as your next pair. 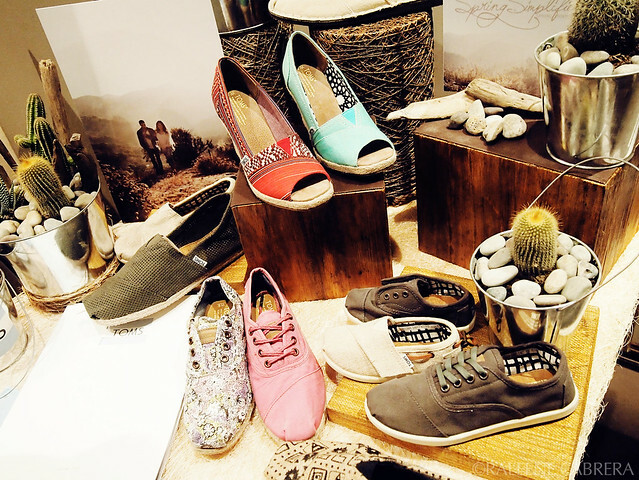 If you can afford expensive brands, why not buy a pair from TOMS? Then met up with Za cos she wanted some Jamba Juice that night! This is another touching video-- they gave out pairs to the kids at Smokey Mountain through WE International Philippines (an NGO that my batch and church have been working closely with). They're actually giving out shoes to so many parts of the Philippines. 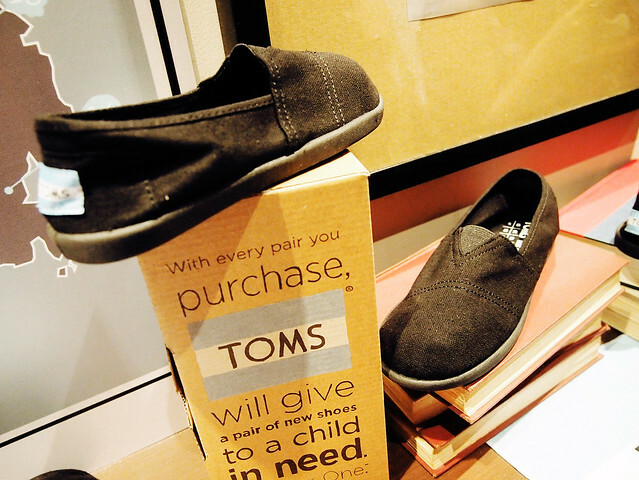 Here's some more information about TOMS if you haven't really gotten to know their mission yet. In many developing countries, children must walk barefoot for miles to school, clean water and medical help. Hundreds of millions of children are at risk of injury, infection and soil-transmitted diseases that most can't afford to prevent and treat. Children who are healthy are more likely to be successful students, and access to education is a critical determinant of long-term success. A village of healthy, educated children have a better chance of improving the future of their entire community. Step 1. Identify a need: Rely on local experts to identify communities that will benefit most from shoes due to economic, health, and education needs, and where local business will not be affected. Step 2. Establish a partnership: Vet NGO partners on the ground for expertise and capabilities. Establish a sustainable giving partnership. Monitor for accountability. Step 3. Give..and give again: Once we identify a community and partner, we set up a schedule to give, then give again as children grow. WHAT SHOES DO YOU GIVE? 1. Made to order: We make only the sizes the children need. We want to ensure no shoes go to waste. 2. Evolving all the time: In new environments and terrains, we are learning to adapt our shoes to best fit the children's lives. This includes everything from thicker soles to deal with rocky terrain, to more weather resistant materials, and black shoes required for school uniforms. We are currently developing: cold weather shoe & wider shoe-- we learned that some children who have been barefoot for years have wider feet. Our founder's name is Blake. TOMS is actually an abbreviation for "Shoes for a Better Tomorrow", but we couldn't get that on the back of a shoe, so we shortened it to TOMS. Going in and trampling the local economy would be downright un-TOMSy. We always try to make sure there won't be any mom and pop shoe makers put out of business by our giving activities. We keep giving. Kids grow out of shoes. So we strive to set up sustainable giving partnerships that allow us to give repeatedly as children grow. As of September, our customers have given away 1,000,000 pairs of shoes (awesome), and could only have done so through our vetted NGO partners on the ground in each location. If our little family of employees had to do that all themselves, they'd never have time to make new shoes or answer your calls. Promise. Not to say they wouldn't like them, but the shoes hand-placed on children's feet are specially designed for their terrain and environment. 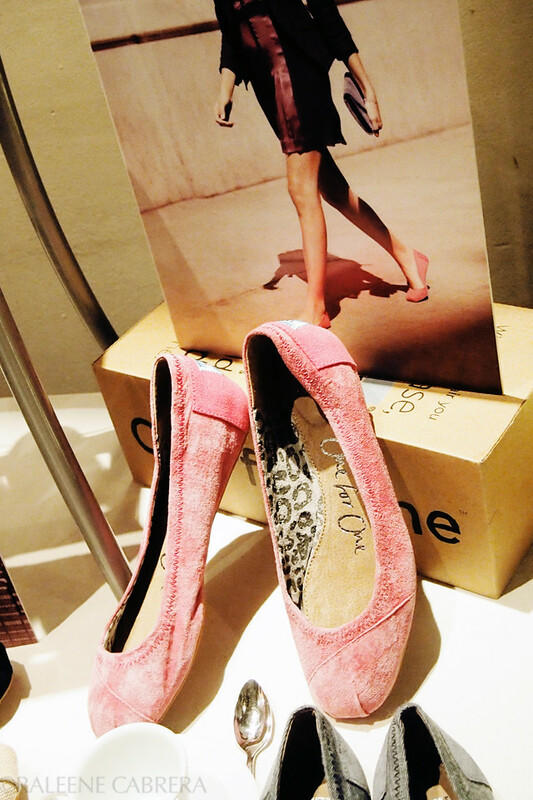 When a purchase is made, it takes about 4-6 months from purchase to feet. This one is for the real cynics out there. Our factories in Argentina, Ethiopia, and China are all AAA rated, and third-part audited to ensure they employ no child labor, and pay fair wages. We're learning a lot, but still rely heavily on local experts to determine our areas of giving. 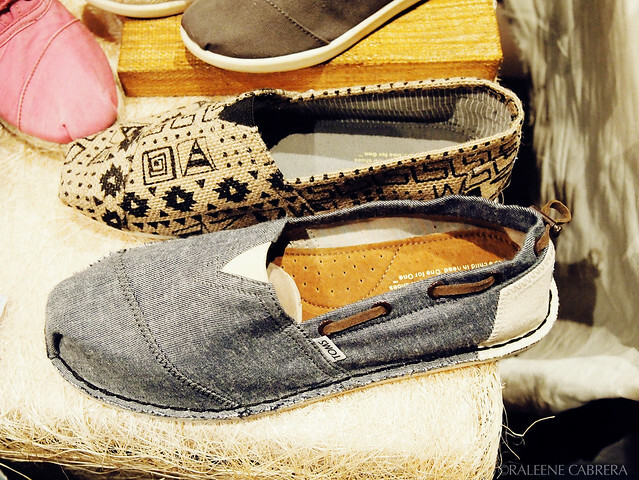 *edit: I buy my TOMS online/in the U.S. but you can purchase them here at SWIM (Rockwell) and Trilogy (Makati)! 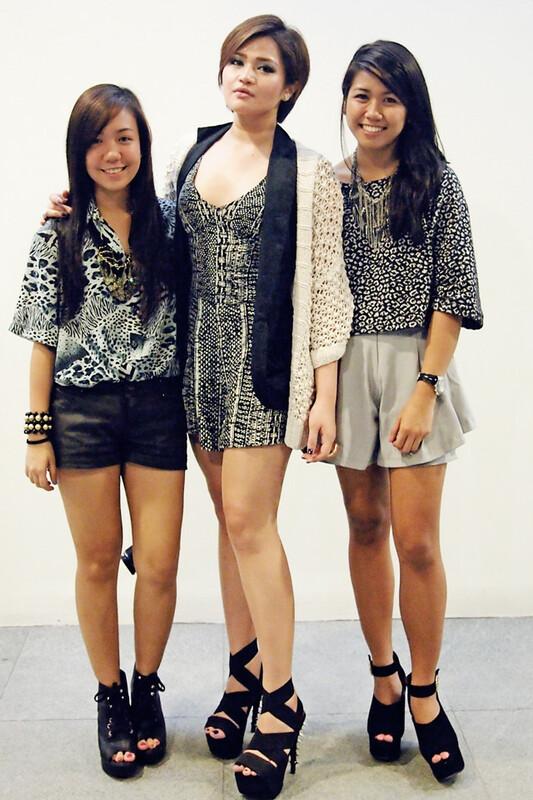 Plus they're going to have a pop-up store at Trinoma soon. Oh! You can also find them at Trilogy! They have a lot of styles there. p.s. those shades are gorgeous! 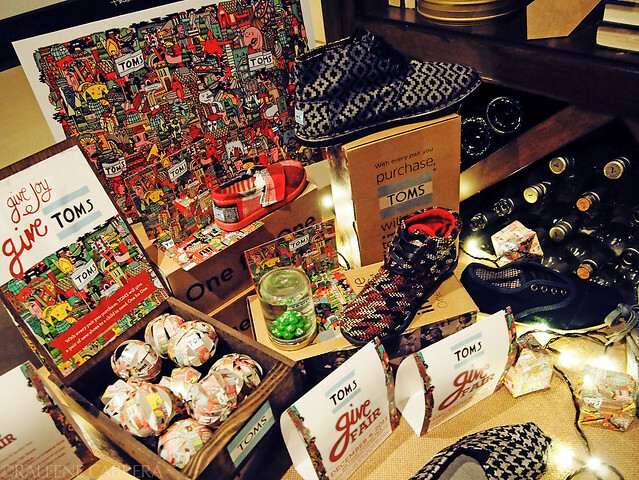 It's unfortunate the TOMS are unavailable anywhere else in the Phils. How much do they retail for? 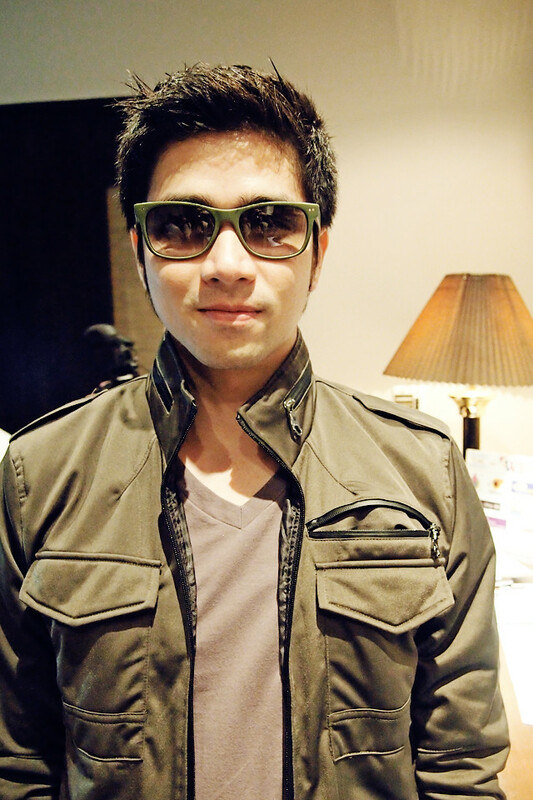 Drez- Cool! A batchmate and close friend of mine is the co-founder and executive director (Abee) and I really loved their mission when she first told me about it. So glad our church got involved, too! Really looking forward to volunteering for their next projects bec. I enjoy the company of kids :D I just don't get to blog about it since I don't take my camera with me whenever I go to the site. Well, photos or not it's still great that you're involved in something like that. Would you happen to know if there's anything similar in Cebu? I've been looking but so far places are either not accepting too many volunteers or they're just not online. When I was living in Cebu we'd plan parties and donate goods to the kids of SOS at Talamban.. Not familiar with anything similar to WE International though.